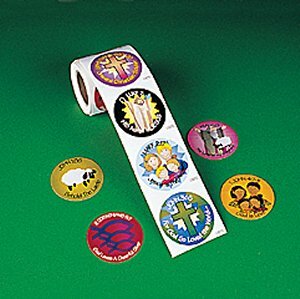 50 Christian Stickers. A useful resource to have in Bible classes and Sunday Schools. They can be given out weekly to children in classes, or children can use them to decorate their work. There are a selection of verses and each sticker measures 4cm in diameter.